Team-ups are one of the cornerstones of this medium that we all love. Whether that team-up happens between father and son, hero and sidekick or vigilante and villain, exploring these relationships can push open new doors of storytelling and adventures. Let’s explore that theme in all of these DC collected editions that you should pick up this month. Peter Tomasi and Patrick Gleason are making waves on SUPERMAN in DC Rebirth. By telling the story of the new Superboy and his developing powers, the Superman title has become a comic that transcends normal serialized storytelling. But it’s not the first time this amazing creative team has done that. Let me introduce you to their Batman and Robin series. This is the series that tells the story of Batman and Robin or Bruce and Damian Wayne, super hero father and son. It serves as the dark companion to the current Superman title as family is the main motif that stretches throughout this entire omnibus that collects over 50 issues! This idea of family is explored in several creative ways. From Damian wanting to replace Batman one day, to the idea that all the Robins are brothers, to Alfred serving as the big grandfather that sits watch over all these super hero kids. Batman and Robin is one of the most consistent and powerful super hero books of the last ten years. It’s one of my personal beliefs that DC should always have a book titled Batman and Robin in its line. They were the first super hero duo, and there’s something so eternal and transcendent about that name. I bet there isn’t a single person in the world that hasn’t heard of Batman and Robin. This is the book that picked up the torch of that title and placed it even higher than anyone thought it could go. This is one my favorite super hero series of all time. Pick up this omnibus and I dare you to not fall in love with the super hero family that lives inside its pages. Remember above how I said creators Patrick Gleason and Peter Tomasi are creating a stellar run on Superman? Well, here is the fourth collection in this Man of Steel run that will likely be remembered for years. A villain from Superman’s past returns, but not to vex Superman. He’s back to corrupt his son! Plus, Batman and Robin make a cameo in this book! Several years ago, Joe Kelly wrote a stellar Superman story entitled “Truth, Justice and the American Way.” This story had villain Manchester Black confront Superman on his hokey ideals and dated super heroics. Thankfully, this collected edition returns Manchester Black to the top of Superman’s rogues gallery by having him face off with Superman about the morals and practices of raising a new super hero, his son, Jon. Superman Vol. 4 allows us to view a big step in Jon’s life, which allows him to further mature his super hero identity, including one scene that literally made me cheer out loud when it happened. Jon is a unique super hero in the Superman family. He doesn’t have a farmer for a dad, he has the world’s best super hero to guide him. But it’s hard not to be tempted when the leather-clad cool guy walks into town and shows you a better way. This book collects some great Superman moments that you should not miss if you are a DC fan, especially if you are, like me, a fan of the Super Sons. I can still remember hearing the announcement that Jim Lee was going to be drawing Batman for twelve issues. I was a huge Jim Lee fan, still am in fact. If Jim draws a book, I buy it. From Deathblow to Wildcats, my wallet flew open faster than a batarang thrown by Batman. This magnificent run managed to do something that many modern comic storylines are incapable of, shaking up the status quo while delivering a tense emotional payoff. Batman: Hush pulls off both. 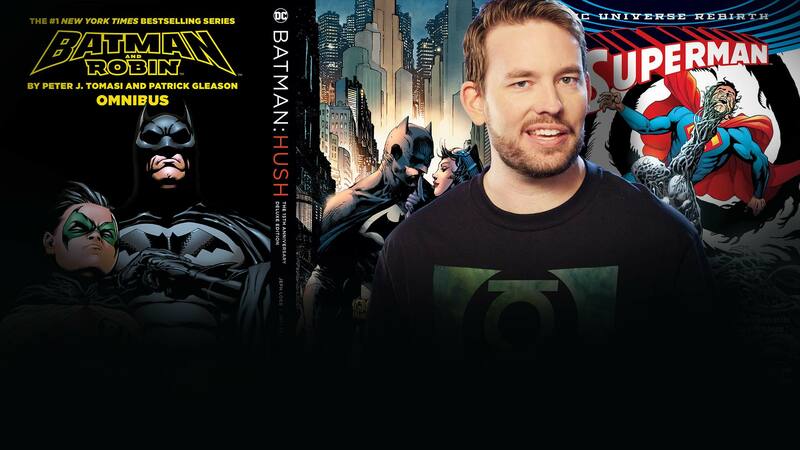 This is the Batman collection that you can give to any comic fan. It features the greatest hits of Batman’s world melded with a world-shaking mystery. Batman and Catwoman begin dating? Happens in here. Jason Todd comes back from the grave? Uh huh. A mysterious villain from Bruce Wayne’s childhood plagues Gotham. It’s in here. This story never slows down or even allows you to catch your breath as it makes shocking waves in Batman’s world. Writer Jeph Loeb and artist Jim Lee managed to create a mystery in the comics world 15 years ago that had fans running to their comic book shops. And I was one of them. I still have my single issues of this storyline and I don’t think I will ever part with them. This is a Batman story that matters. It’s a Batman story that changes the character forever and a Batman storyline that proves beyond a shadow of a doubt that the Dark Knight is one of the greatest characters in comics. At 15 years, Batman: Hush still looks good, and I think we’ll still be talking about it when its 50th birthday comes around too. So that’s it! Those are my DC graphic novel picks for November! Did you notice that Batman and Robin make a little appearance in every one? So, run down to your local comic book store and get them all, bat fans!